The most common vision problem an individual faces is near-sightedness or myopia. This condition gives blurry vision for far away objects, while near vision is normal. This error in vision can be detected by routine eye check-ups at any stage when one faces difficulty in seeing distance objects clearly. As we grow older, our eyes too show signs of ageing. Presbyopia is an age-related eye condition wherein the lens in the eye loses its ability to focus sharply leading to poor functioning of accommodation. In this condition, one can see far away objects clearly but for near objects, they require spectacles for better vision quality. Further, Astigmatism is another eye condition wherein your cornea or lens is curved more steeply in one direction than the other is. Hence, images that you see will be blurred both for far and near. It is often present at birth and may be seen in combination with myopia and hyperopia. Initially people with these different refractive errors usually go for corrective measures like eyeglasses or contact lenses. However, LASIK eye surgery provides wonderful option of getting freedom/reducing dependence on spectacles or contact lenses. Laser vision correction options for these refractive errors include laser-assisted in-situ keratomileusis (LASIK), FEMTOSECOND LASIK, ReLEx SMILE Lasik, laser-assisted subepithelial keratectomy (LASEK) and photorefractive keratectomy (PRK). 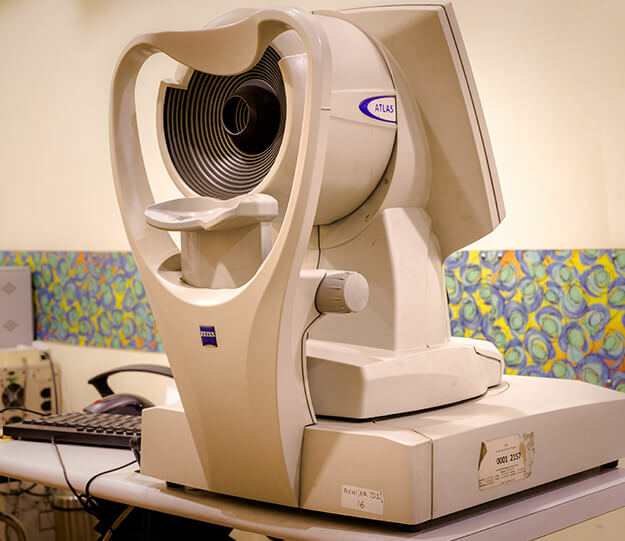 Laser vision correction procedures are very advanced and use different laser platforms depending on the type of the procedure. 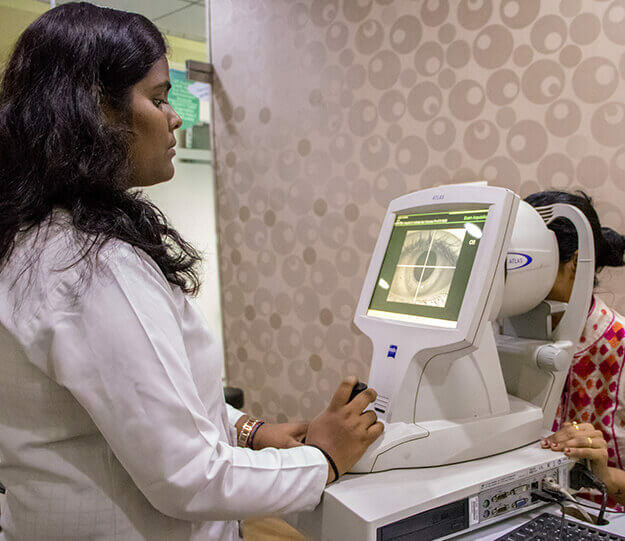 LASIK is that vision correction procedure wherein a flap is created which is thick enough to cut the epithelium as well as some portion of the stromal layer of the cornea. It involves usage of a laser to re-shape the cornea that corrects the eye power. If the Flap is created with the help of a mechanized blade called microkeratome is called Lasik. If the flap is created with the help of a laser ( femtosecond laser), it is called Bladeless Lasik, also called as Femto Lasik. Advanced surface Ablation ( PRK) is a great option for certain segment of patients like those with borderline thin corneas or those who are in contact sports etc. In this procedure superficial layer of cornea called as epithelium is removed and then excimer laser is used to reshape the cornea to correct the eye power. ReLEx SMILE lasik is the most advanced option. It is also called bladeless flapless Lasik. 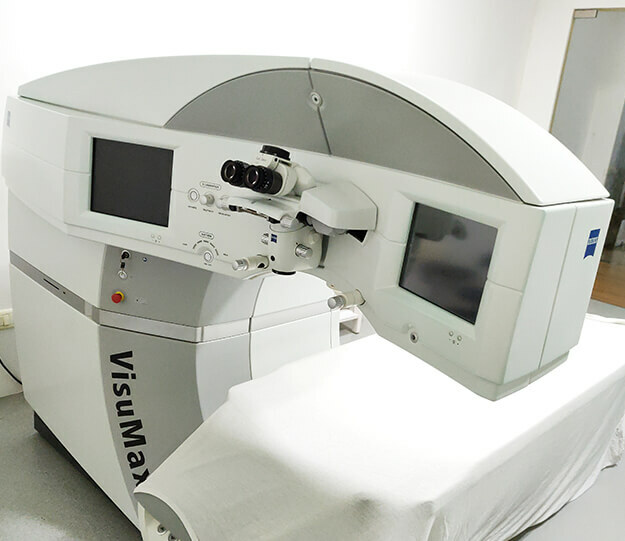 In this procedure with the help of an advanced platform called Visumax laser is focused in the internal layers of the cornea and a small lenticule is created which is removed through a tiny little laser induced cut on the side of the cornea. SMILE Lasik is not just an advanced procedure but also the safest. LASIK procedure like other surgery, also presents some risks. 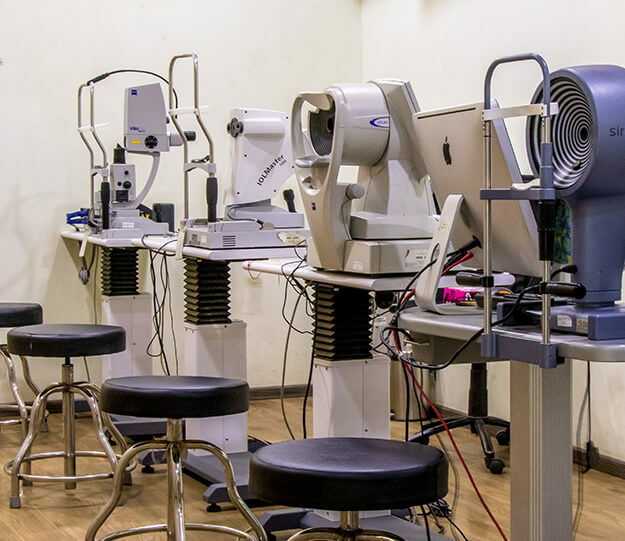 A good pre-Lasik evaluation can ascertain most of these risks prior to the Lasik but some of these risks cannot be predicted prior to the surgery and can happen by chance alone. The surgical blade (microkeratome) or excimer laser could malfunction, that requires the procedure to be stopped before completion. In most such cases, procedure can be completed after a few months. If managed properly it does not lead to any long-term complications. There is possibility of mild or severe infection. Mild infection can usually be treated with antibiotics and typically does not lead to permanent vision loss. However, severe infection even if successfully treated, could lead to permanent scarring and loss of vision. In that case, a corrective laser surgery may be required and in some rare cases, corneal transplantation. At times, patients may develop keratoconus. However, this condition is extremely rare in those people who have normal preoperative topography (a map of cornea obtained before surgery) and Pachymetry (corneal thickness measurement). Mild keratoconus can be corrected by spectacles or contact lenses while in severe cases corneal transplant may be required. Other rare complications that might threaten the vision includes but are not limited to corneal thinning (ectasia), corneal swelling, appearance of floaters, retinal detachment, hemorrhage, venous and arterial blockage, cataract formation etc. Overcorrection or under correction of the refractive error could also occur that causes nearsightedness, farsightedness, and increase in astigmatism. One may not get a full correction from the refractive procedure and it may require further LASIK enhancement procedure. In some cases, the visual acuity gained from any of the LASIK surgeries could revert. Meaning the vision may partially go back to a level that may require glasses or contact lenses to see clearly. The first three conditions normally show up during recovery period which are generally temporary; but in rare cases, it stays longer. Dryness of the eye can be resolved with application artificial tears. 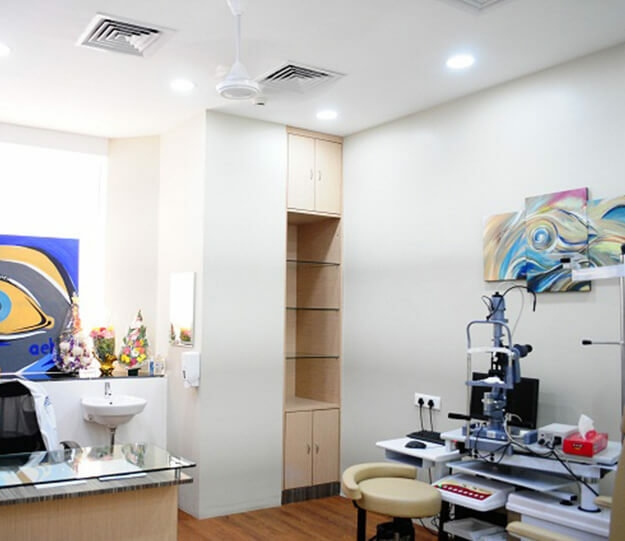 By coming to Dr. Vandana Jain, I was very confident about having surgery at Advanced Eye Hospital & Institute mainly because of her good degree, experience, approachable nature which made me feel that I was in best hands. Based on family doctor’s recommendation, 25-year-old Riya Mehta*presented to AEHI with eye complaints of blurred vision and difficulty in opening her eyes since one week. This is something she had been suffering intermittently for the last several months. She had a history of injury with a paper edge 6 months ago. Implantable Contact Lenses, also called Phakic IOLs (or Phakic intra ocular lenses) are lenses which are surgically placed inside the eye. Lasik Xtra is a new procedure that can restore the strength of the cornea with a simple technique called the Corneal Collagen Cross Linking (KXL) accompanying Lasik surgery. 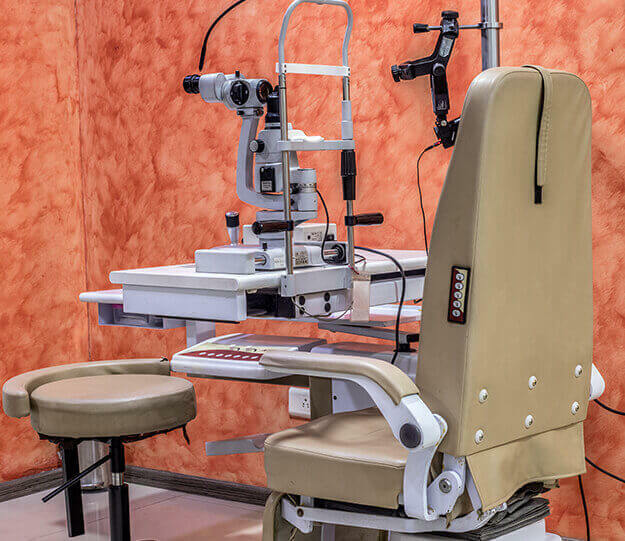 LASIK or Laser Assisted In- Situ Keratomileusis is a type of refractive surgery in which lasers are used to reshape the cornea and correct near sightedness, far sightedness or astigmatism.